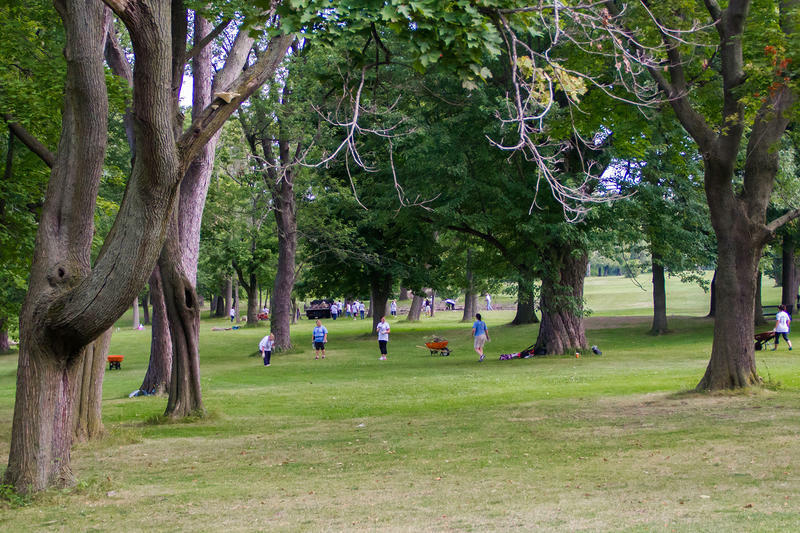 It is going to be a long road to restore Frederick Law Olmsted's Arboretum in Buffalo's South Park - perhaps 20 years - but plans are moving forward. 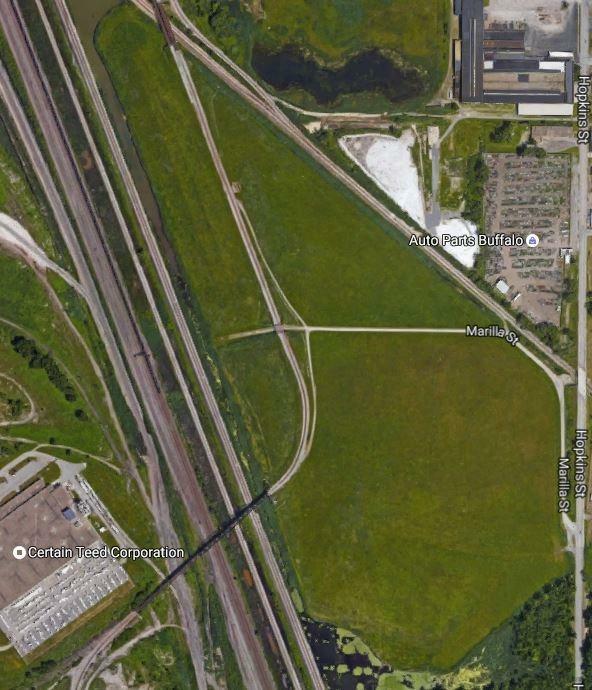 Originally designed in 1894, the 155-acre park anchored by the Buffalo & Erie County Botanical Gardens now has a Boston-based landscaper working on a feasibility study of the restoration project. Kyle Zick of Kyle Zick Landscape Architecture led an informational meeting on the his plan at the Tosh Collins Center Tuesday evening. "In terms of the structure and the overall infrastructure, it's just that trees have been lost or trees are in poor condition," Zick said. "So the bones are there, it's just all the accessories that aren't. It's not something that's going to be done in two years, for sure. You know, this is more like a five to 10, maybe even 20-year-plan, depending on how it gets rolled out and other influences." Originally home to more than 2,300 types of trees, shrubs and other plants, Zick said the Arboretum will not be restored to Olmsted's original. "Some things they planted we consider invasive, some things aren't hardy, some things we will plant that they didn't have access to or didn't exist at the time," he said. "You know, an example is the Ginkgo. There's Ginkgos in South Park, but they were rediscovered until the '40s, so Olmsted didn't know they were available. And there will be new cultivars and new varieties that are available to us now that we'll want to try." Another example is the 20-30 varieties of Elm tree in the park. Zick said none of them are resistant to Dutch Elm disease, so they will have to be replaced. However, the goal remains the same: to return the Arboretum to its original world-class glory. "It's going to be a time-consuming project," said Buffalo Olmsted Parks Conservancy Executive Director Stephanie Crockatt. "We hope to be at certain levels of accreditation over time. The Morton Arboretum actually does an accreditation process. So we're hoping we will be at Level 1 immediately, but we hope the final goal will be to be at Level 3." A new educational center is also envisioned as part of the restoration. Crockatt and Zick agree fundraising and other factors, like permitting, will determine how quickly the project moves forward. "We haven't seen the complete figures yet, but I would say the first phase that Kyle [Zick] is proposing would be anywhere from $200,000 to $300,000 just in that first phase," she said. "Right now he's going to be presenting about 11 phases." 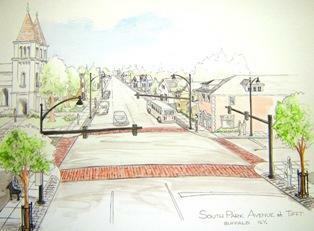 Buffalo, NY – A two-mile stretch of South Park Avenue in Buffalo will under go a major renovation. City, County, State and Federal leaders announced that $2.3 million will be provided to make significant improvements. Erie County Legislator Timothy Kennedy says it has taken three years to secure funding for the project. Leaders say they plan is to create one of the best streets in the region. Kennedy says the project will include new sidewalks, landscaping, lighting and crosswalks. It's a great place for a golf course. That's the evaluation of experts after touring a proposed golf course site next to South Park.